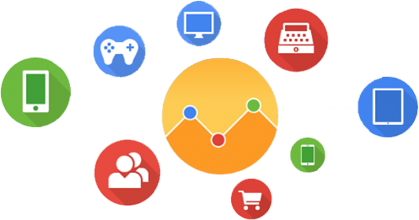 Be in control of your marketing budget by taking advantage of state-of-the-art Google Analytics tools that enable you to analyze your site’s user behavior. Impact of weather on the purchasing process. Thanks to our extensive reports, you can control your marketing expenses. We'll identify your site’s weak points and help you fix them! Result analysis and reporting are crucial to any marketing operations. All our team members have individual Google Analytics certifications – obtaining such a certification requires extensive training and passing exams. Our analytics allow for boosting conversion rates and online profits.